Minor to moderate imperfections in your teeth can cause you to want to hide your smile. While there are many ways your dentist can restore these imperfections, one of the most beneficial treatments would be porcelain veneers. Veneers are attached to the front of the tooth to hide almost any aesthetic issue from discoloration to chips and cracks. Dr. Brian H. Chan and his team at Classic Dental Smiles strive to give all of his patients in the Rancho Bernardo, CA area the smile of their dreams, and often times, that can be achieved with veneers. They look natural – When repairing imperfections in your smile, one of your main concerns should be that the restoration looks natural. We customize all veneers specifically to each patient in order to provide them with a restoration that matches the look and shade of their natural teeth. We can color match the veneer and cut them into the perfect shape so they look real and beautiful. They can fix almost any issue – Because the veneer is attached to the front of the tooth, they will hide just about any cosmetic concerns you have. Severe discoloration, gaps, cracks, chips, and misshapen teeth can all be concealed with veneers. They are strong – Veneers are often made of a porcelain composite material. Not only is this material natural looking, but it is also strong enough to handle years of use before they need to be replaced. With proper care and maintenance, veneers can last from ten to twenty years. Yet, proper oral care is still necessary to maintain them. 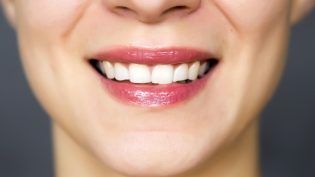 They are great for whole mouth makeovers – For those with several teeth that may have unsightly flaws, veneers can be used to completely change the look of your smile. No matter how many teeth need repaired, veneers can be used on one or all of your teeth to give you a smile you will want to show off. Most people who want a more attractive smile will qualify for veneers. If you would like to know more about veneers and how they can give you a brighter and more beautiful smile, please contact our office to schedule your cosmetic dentistry consultation.